There's a historical trend in South Korea's world cup participations, which is to always lose or draw the second game of the round robin (the only draw was against the United States in the 2002 world cup which Korea hosted and landed a 4th place finish) and to almost always draw or win the final game of the group. In 1994 Korea drew with Germany in the final game which was believed a shock result by many, in 1998 Korea drew another shock by drawing against Belgium, in 2002 Korea beat Portugal in the final game, in 2010 Korea drew against Nigeria to qualify for the following round. Korea lost in 2006 against Switzerland where both Swiss goals were arguably offside, and in 2014 where moral was low in a short 1-0 loss against Belgium. In 2018, Korea shocked the world by defeating defending champions Germany in the final game. What does this say about South Korea. South Korean results are typical of teams that lack experience, that is do a good well-fought first match, be overconfident or lose confidence in the second match, and finish with a strong third match to save face. Overall, not just in football but in general, South Korea is a developed country that lacks experience with development. History is not really a subject taught in school, and when it is taught, the focus is on ancient history. Modern history is a sweet economic deal, but gained at a painful political and social cost, so no one really studies it. This leads to a lot of amnesia, uninformed decisions, and a decision-making that overall refuses to look back at past mistakes and that has several blind spots. In this air-conditioner side chat, I will offer my two and a half cents on how Korea can analyze the present situation, with a four-dimensional view of things. I'm not sure about the statistics in South Korea, but one statistic I keep repeating is that about 80% Koreans have not worked 10 years in their 40 or so worklife. Most have had under the table jobs, survived living with their parents or family members, often in what are difficult cohabitations, or in some cases survive by sleeping in mountain resort tents which are free of charge and where Buddhist temple food is served as meals. It wouldn't be fair to those people to say that just because someone escaped the Syrian war, they should be allowed food, shelter, training and jobs. Furthermore despite modest incomes Koreans often go through debt to get college degrees only to spend on average 3 to 5 years or in some cases more to find a stable job, only to be forced out of that very job on average after 11 months. Most Koreans delay graduation for several years to make sure they graduate with a job lined up, and for many, the job is not lined up. Like many Israelis, Koreans contemplate Australia, Canada or the United States where despite their college degrees they aim for low-paying but stable manual jobs, and in some cases are willing to pay egregious lawyer fees to get their immigration paperwork done to make the move. Unlike Europe which has a good welfare system and where you can survive pretty decently with your welfare check, you can't convince Koreans, or Israelis for that matter, that refugees are welcome. The main factor behind the declining birthrate is the age factor. That is women marry older, naturally have fewer kids. Women in South Korea marry roughly around age 30, meaning that they only really have 4 or 5 years to have children while fertility naturally starts declining after age 30 for obvious biological reasons. A woman can have 4 or 5 children if she starts having them in her teens or twenties, but the same could not be said if she starts having children in her thirties. Why don't women marry. Mainly for two reasons: they want independent careers and can't find suiitable men. In South Korea, patriarchy tends to be the norm and male dominance is not frowned upon, women defend themselves by having their stable careers, often aiming for jobs with high job security. That means a lot of Korean women will study for public servant or teacher examinations until their late 20s or early 30s, and will keep their job as a safety net if they can't retain their husband. Men also tend to prefer marrying public servants with lifelong job security. As for the other reason, there are not that many gold diggers in South Korea because rich South Korean men tend to be more arrogant than you'll find anywhere else and tend to only marry the daughters of evenly rich families. As for finding a suitable mate, Korean women tend to be busy with their public service examinations, also tend to be confused about what criteria they have for men they would date. Korea is a homogenous society with little emphasis on individualism, making it difficult for women to identify individual quirks they would like to see in a man. Here are a few reasons job are hard to come by in South Korea. -A four-year drought means that agricultural jobs are hard to come by which means more farmers moving to cities and looking for jobs. -Industrial and service sector competition is rough. There are only a handful or products you can sell which means that industry and services compete for speed, price and quality, often selling at a loss. -Mismanagement. Keeping a client base and solid profits is about careful management. Korean management tends to be impulsive and change frequently and tends to rid itself of solid client bases or highly trained human resources. -Lack of creativity. Korean businesses tend to stand still in fatalistic mode rather than try to come up with creative ways to keep the business moving. Koreans also tend to lack focusing on the big picture and tend not to be willing to reorient their business to more profitable ventures. -Concentration of most of the wealth in the hands of a few. Large businesses tended to reinvest most of their income into the company, now keep most of the income for themselves. Shareholders keep little of the profits made and most profits go straight to the CEOs pockets. -Lack of sense of mission. Managers tend to value the pomp and status that goes with their title, but tend not to want to be bothered with work. Work is for the “sawon” or the beginner manager or secretary, which actually means that the secretary is taking most of the big decisions and making most of the suggestions at the business level. This often means secratries who drive clients away to avoid handling their orders. -And finally: lack of natural resources. South Korea does not have raw materials or minerals. This means doing away with a stable source of income, and being stuck with technology. As you know technology is very quickly obsolete, and Korea has not yet come up with a plan to fight against technologies becoming obsolete. So far, South Korea growth has favored a handful of CEOs and their families. How do you come up with a plan that fosters inclusive growth where all Koreans can benefit? Here are some ideas. -Fair competition laws. As I said, Korean business is a lot about selling high quality products, for a very cheap prices, at world-record speed. The problem is this is not a fair model for those who want to thrive in the business world, because this means very small profit margins or losses in business. This means Korea needs to come up with plans for fair competition, including geographical zoning of companies to avoid too many clusters of companies selling the same product in one geographical area. That can help businesses drive their price up. -Sectorial zoning of activities. Rather than have restaurants cook everything or companies provide every service they can think of, laws need to break products down into minutely devised sectors and make sure companies don't sell products that are outside the sector. If a company specializes in car parts, it can only sell car parts. If a company specializes in cosmetics, it can only sell costmetics. -A strong police force and zero tolerance for business crime. Business laws need to be clarly defined and take white collar crime into account. White collar crime should be punished with heavy penalties. White collar crime includes harassing other businesses, graft, extortion, embezzling funds and fabricating performance reports. Let me frame constitutional problems because the main problem constutitional reformers seem to have is their inability to frame the constitution. The South Korean system is a presidential system, where the presidency carries vast executive powers, the president is often a lone-wolf, has a lot of power, and can single-handedly control the legislative, the executive, the judiciary and the army. That's a lot of power for a single man. That is the National Assembly tends to follow the president, the justice system tends to follow the president, and the army tends to follow the president. The president can be advised over certain issues, but a lot of times decisions will be incumbent upon him or her. How do you change the system? Do you implement a vice-presidency? Do you use a bi-cameral system? The current system is a uni-cameral system where a lot of the legislating revolves around the presidency. Do you give the National Assembly the power to veto presidential decrees? Do you give judges the power to overrule presidential decrees? Or perhaps, do you make of the presidency something of a symbolic figure, and have a full parliamentary system where the Prime Minister is in charge and constantly has to face the National Assembly when taking decisions, and the National Assembly constantly has the power to directly contradict the Prime Minister. Is South Korea a single constituency, or should regional votes be take into consideration, or a mixture of both. These are questions to ponder. Relations with North Korea have reached a détente stage, but you really need to have two teams studying the issue: a red team and a blue team. The blue team will come up with reports on if relations with North Korea keep improving, and the red team will keep issuing reports on what to do if relations with North Korea ever deteriorate. The new wave of tourists is increasingly the individualist kind, who visits Korea alone or with a friend. Families who visit Korea tend to become rarer, and it's either the friend-friend or boyfriend-girlfriend who are visiting Korea. This needs to be taken into account in hotel packages, food packages and entertainment facilities. Most tourists are from China and Japan, followed by Southeast Asia, then Russia and Central Asia. 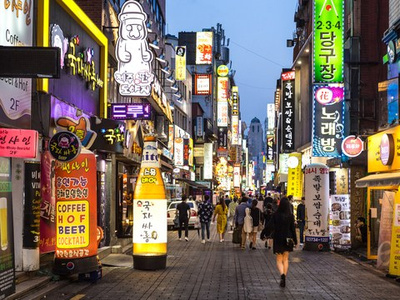 Tourists see Korea as the land of cosmetics, fashion and technology, and not always as the land of food. This means it's OK to have Chinese, Japanese, or Middle Eastern restaurants to cater to tourists, as long as they can buy cheap costmetics and high-tech products. Tourist guidebooks need to take that into account, and need to evolve from the stories about kimchi, the hanbok and jimjilbangs to a story about Samsung Galaxys, cheap laptops, cheap fashion and great but cheap cosmetics. The Korean education system in a nutshell: you have about 10,000 questions and answers that you need to memorize for an examination, and you spend 3 to 15 years memorizing the questions and answers, after which you get selected to prestigious or less prestigious universities after which you try your luck in the job market. What this means: Koreans tend to be terrible story tellers, and tend to be coy about their own personal ideas. One solution would be to have at least a portion of the university entrance examintion modeled after the French university entrance examination. That is a few vague questions where the student express their own personal ideas, and then a team of three or four correctors individually grade the test and the average of the grade is assigned to the test. Every time I say the word “smart” Koreans tell me “smart, Steve Jobs, smart phones.” Being smart is not just about having good technology, it's also about having the brains and heart that go with the technology. That is if you are incapable of observing social trends, or if you rely on technology to observe social trends, you can't come up with new technologies, business growth or a new business model. I hope these tidbits can help.